We can't all be winners, and this is especially true for a limited field like the Oscars. But sometimes a movie or its crew are so astounding that a lack of a nomination or win leaves a bad taste in our mouths. These ten Oscar snubs are amongst the most baffling in history. If #3 and #9 don't upset you then you aren't a real movie fan. It's rare that a documentary generates as much controversy as Going clear, a Scientology expose. The film had two theatrical runs and was the most watched documentary on HBO in over a decade, but despite this it was left off the list for Best Documentary. Naturally some suspect that the church's influence in Hollywood kept the film down. At the 70th award ceremony Titanic won eleven awards, a record it shares with Ben-Hur and Lord of the Rings: The Two Towers. But despite seemingly blowing the minds of the jury, poor Leo wasn't nominated for Best Actor. He wouldn't win an Oscar until 2016 for The Revenant. 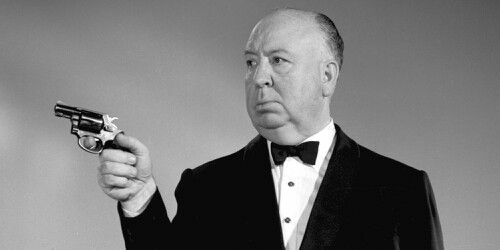 Hitchcock's influence on suspenseful storytelling and horror cinema is something felt even now, and his films are still being dissected and studied today. So it's only natural that he'd never win Best Director for his efforts despite being nominated five times (for Rebecca, Lifeboat, Spellbound, Rear Window, and Psycho). Jaws was the highest grossing film of all time back in its day, so many were shocked when Jaws only won three Oscars (Best Film Editing, Best Sound, and Best Original Dramatic Score). But none were more shocked than Steven Spielberg himself: he brought a film crew to capture his response to the Academy's nomination announcements live. It was a forgone conclusion that Life Itself, the documentary on critic Roger Ebert's life, would win Best Documentary, but it wasn't even nominated. Unfortunately (or fortunately depending on how you look at it) it was a good year for documentaries and someone had to be left out in the cold. Still, there are those who considered the lack of a nomination disrespectful.